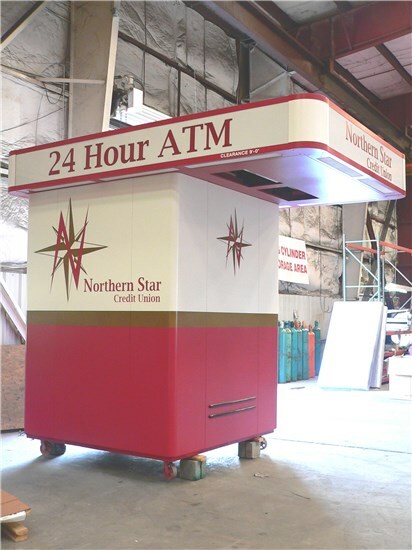 Designed for remote parking lots and areas with ample space, the 7’ x 7’ Model 300 seamlessly blends durability, visibility and security. 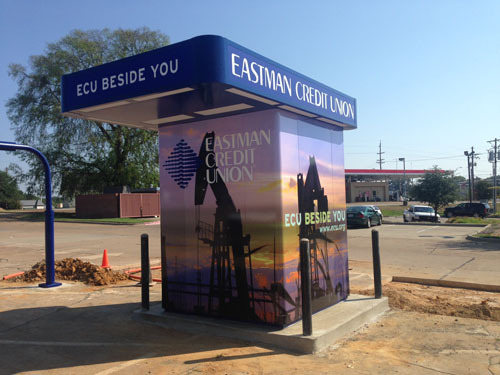 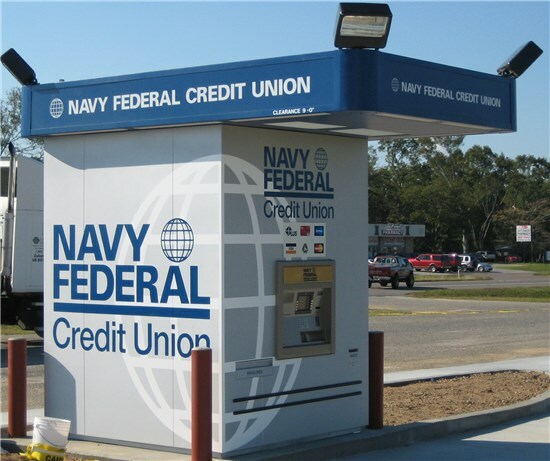 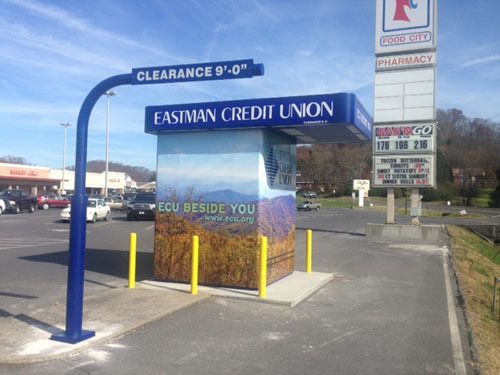 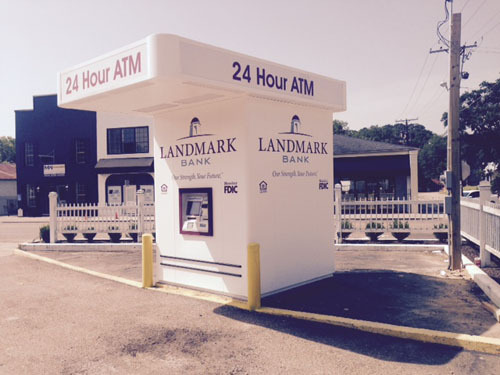 Similar to the Model 200, the Model 300 ATM kiosk is built with an attached canopy that includes illuminated sign boxes and downlighting on all elevations. 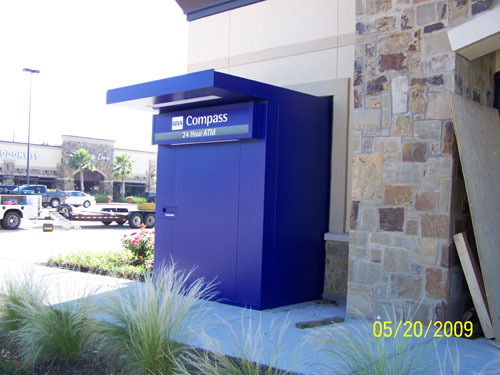 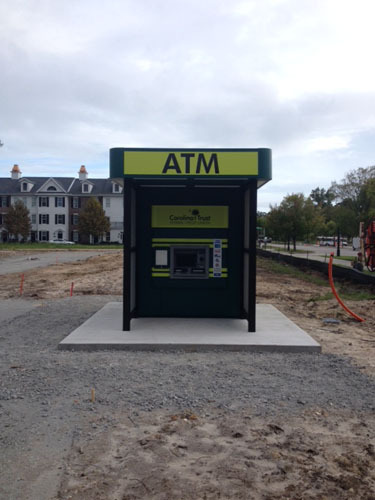 It also is designed to accommodate any ATM on the market and provides ample interior storage space for remote ATM deployments. 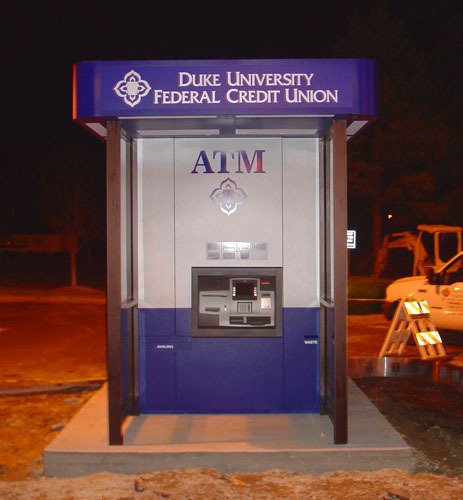 The sheer size of the Model 300 makes it a venerable marketing tool that allows potential customers to see your ATM from any distance, day or night. 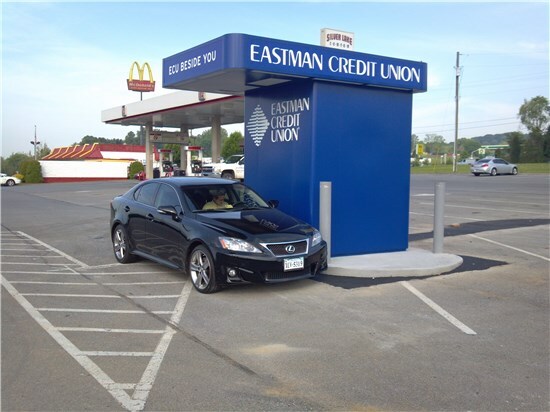 Note: The spacious interior of the Model 300 precludes it from requiring our patented linear track system, which adds maneuverability to smaller ATM kiosks.